Reykjavík Food Festival will be held on Skólavörðustígur Saturday, August 11th. The festival, which has been named the Reykjavík Bacon festival, has grown tremendously in recent years, and now visitors will be able to enjoy all the best that Icelandic farmers have to offer. 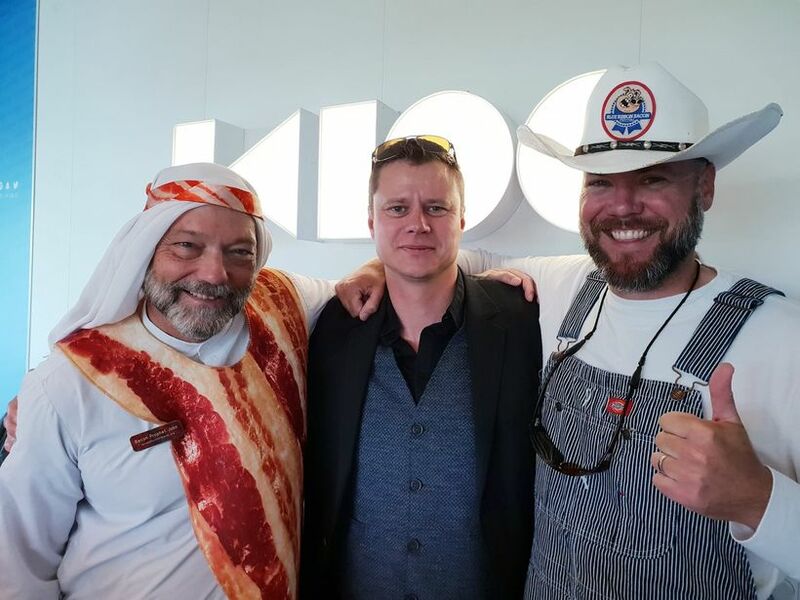 Þorbjörn Sigurbjörnsson, the organizer of the festival, Prophet John Whiteside, The Highest Prophet of the United Church of Bacon, and Marshall Porter, one of the organizers of the Blue Ribbon Bacon Festival in America, guests in Iceland woke up this morning as they went over the main course agenda of the food festival. “We are going to make all of Iceland’s foodflour well under your head,” says Þorbjörn, whose tickets will be sold in ticket prices, which will be located in several places on Skólavörðustígur. There will be a variety of entertainments, live music and many more, which will make the festival for the eyes and ears, as well as of course the flavors. The organization of the festival has all been done for self-employment and the proceeds of the festival have gone to charities, but in recent years, the Children’s Hospital, LSH’s Heart Department, Care and Lifelong Learning Center of the Poor and Disabled, have been funded for the purchase of equipment. Translated from original article linked below. Reykjavík Food Festival verður haldin á Skólavörðustígnum laugardaginn 11. ágúst. Hátíðin, sem gengið hefur undir nafninu Reykjavík Bacon festival, hefur vaxið gríðarlega undanfarin ár og mun nú ekki aðeins beikon vera á boðstólnum heldur munu gestir og gangandi geta notið alls þess besta sem íslenskir bændur hafa upp á að bjóða.